Excavations in the gardens of the Benedictine Abbey of Saint Paul's Outside the Walls were launched in advance of new construction work in the south west corner of the church for the "Pauline Year" of 2008-2009. 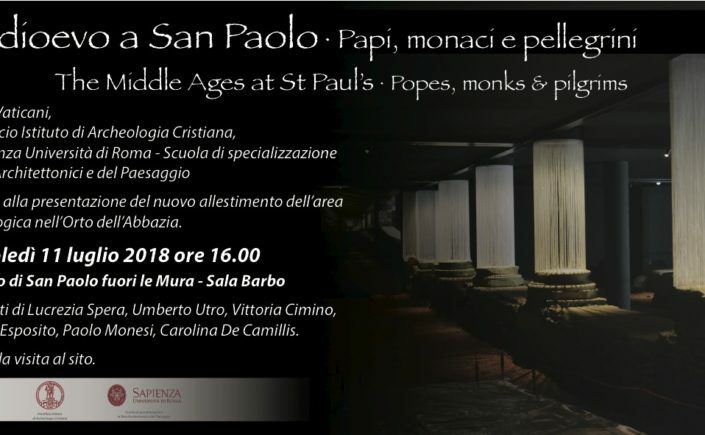 The archaeological digging was carried out between 2007-2009 under the direction of Prof. Lucrezia Spera of the Vatican's Pontifical Institute of Christian Archaeology, with subsequent restoration and systemization of the monumental remains and many thousands of artifacts. These artifacts attest to the area's Medieval fortification as "John's Town" (Giovannipoli), a suburban district about two kilometers outside of Rome along the via Osttiense, named for the ninth-century pope John VIII, but with traces of occupation from much earlier times in Rome's history. Admission to the site is included with a ticket to the St. Paul's Cloister and Museum (entrance is through the cloister). For more information: www.basilicasanpaolo.org. A brief description of the itinerary at the time it was first opened as a "work in progress" is here (link).